During our trip in Japan we visited the harbour city of Yokohama. Since the time its port was opened, Yokohama has been acquiring new cultures and information from different countries and introducing to Japan a whole new world, from food to a wide range of cultures. This makes Yokohama as the birthplace of Japan’s modern culture. After a week in Tokyo, we hopped on the train and headed to south for Yokohama. And despite not having any plans of what to do here, we ended up staying a whole afternoon here. We also managed to find a lovely restaurant where we had dinner. 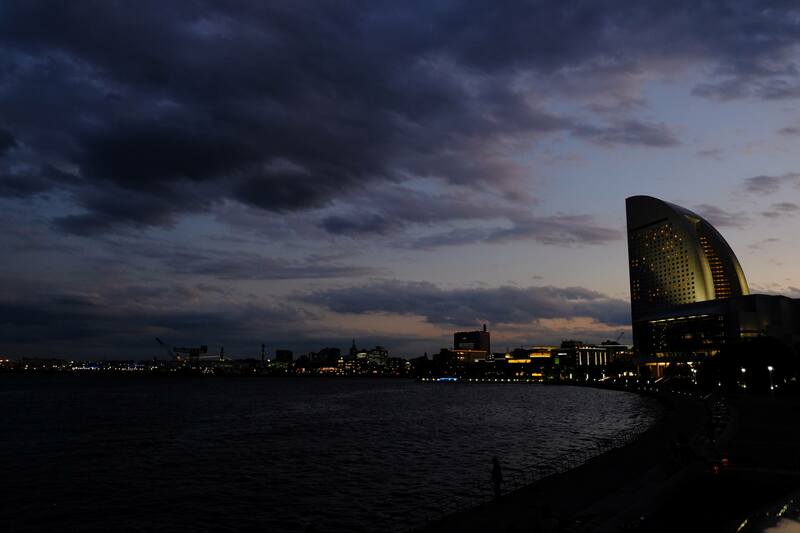 Yokohama, is around twenty minutes train ride of central Tokyo but yet extremely different. It has an energetic vibe, rich history and has a luxurious feel to it. The total population of Yokohama is 3.7 million persons, making the city the second largest after Tokyo. A number of foreign companies have established their branches in Yokohama by taking full advantage of the Yokohama Port which is an international trading port. It is considered to be the city of dreams by foreigners and visitors alike. Locals are very proud of living here because it is not crowded and has a neighbourhood feel. On the other hand, visitors adore the breezy port, striking views and creative art scene. 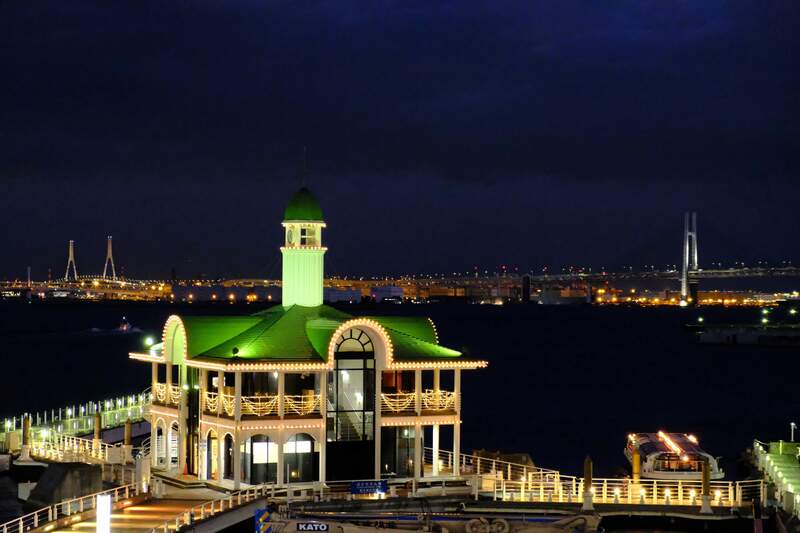 The city’s seafront location and graceful parks also give it a relaxed atmosphere, enhanced by the plenty of historic sites and places of interest. Yokohama has plenty to offer for every visitor. It really stole our heart! Minato Mirai 21 is one of the liveliest areas in Yokohama. It is also one of the biggest areas and combines the Yokohama Royal Park Hotel and has a publicly accessible Sky Garden viewing gallery on the 69th floor. This offers seriously incredible views- mesmerising day and night. This place is where you can walk, eat, shop and sightseeing in peace. 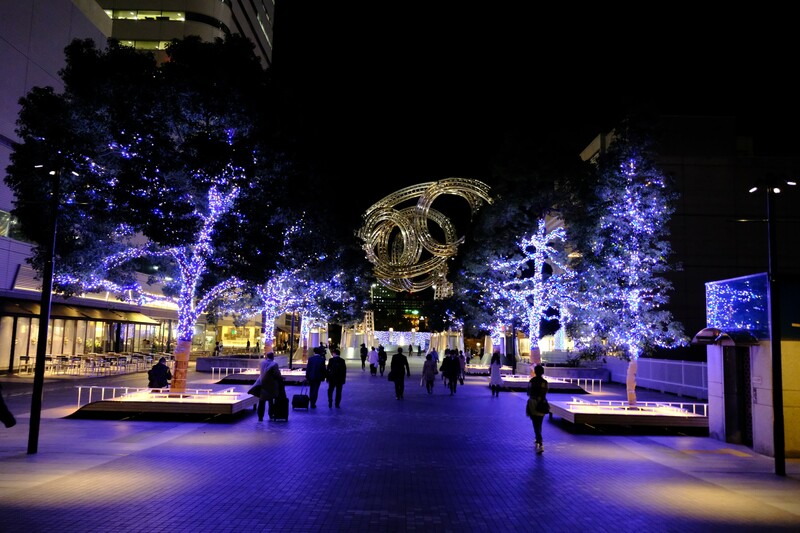 The majority of Yokohama’s best attractions can be found in this area. One of the main attractions in this area is the Landmark Tower. The Sky Garden on the 69th floor of the Landmark Tower Yokohama is an observation deck where visitors can enjoy panoramic views of Yokohama and a leisurely promenade in the sky. This skyscraper stands out from the crowd, with its distinctive corner posts and flared base. It was completed in 1993, and dominates the Minato Mirai skyline. Sankeien Garden is a peaceful and spacious Japanese style garden, it features a number of historic buildings from across Japan. There is a pond, small rivers, flowers and wonderful scrolling trails that make you think you are in Kyoto rather than Yokohama. It exhibits a plethora of historical buildings collected from all over Japan. The garden itself is serene with a lot of history in it. What we loved about this garden is that there are volunteer tour guides who are happy to walk you around the garden, telling the story of each location along the way. The main reason Sankeien Garden is sitting so pretty in Yokohama is because it’s located away from the masses. We spent a couple of hours here: strolling in the park, visiting the various tea houses and learning about its seasonal beauty. 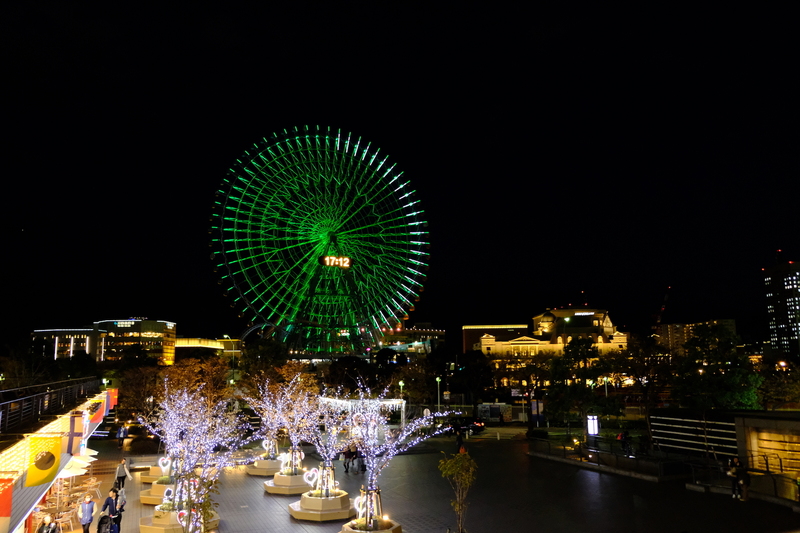 Right in the center of Yokohama you can find the Cosmo World Amusement Park. It includes the giant Ferris wheel that is a prominent feature in the city’s skyline, this offers amazing views of the city below. Compared to other amusement parks, the Cosmo Clock Amusement Park is quite small, but it super fun. Apart from the Ferris wheel you can also find a roller coaster and plenty of other amusing water rides. The main advantages of this ubiquitous park are that is extremely family friendly and inexpensive. Cosmo World is divided into three zones according to age, and is located on both sides of the Ooka River’s mouth into Tokyo Bay, with a bridge connecting the mainland section with the Shinko Island section. With its waterfront view on all ends, Cosmo World is scenic and beautiful by day, and its dazzling lights make it a romantic place to walk at night. Unlike any other popular amusement parks, visitors don’t pay an entrance fee but pay for the ride or attraction. The Osonbashi Pier is one of my personal favourite spots in Yokohama. We spent quite a lot of time here as it is a great place to observe the sunset over Yokohama, and Sebastian wanted to get the perfect shot (while the rest of us were freezing!). But the result turned out to be pretty awesome. This is I think the ideal place for sunset and for a night view of the entire Yokohama city area. It is possible to walk along a wooden path on the pier terminal roof, where you’ll also find some benches and small stands selling beer and coffee. Sitting from one of the benches you can decide whether you’d like to face the Minatomirai area or watch the busy boats carrying people back and forth. And before we left for dinner, we paid a visit to Yamashita Park. We read a lot about it and couldn’t miss it. It is Japan’s first western garden and stretches along Yokohama’s waterfront. The park is about a hundred meters wide, and consists mostly of open green space. We wholeheartedly recommend this park for an evening stroll or job for the fitness fanatics. Wereally enjoyed the view, fresh air and also spacious area in this park. We got super hungry and after checking some reviews of restaurants in the area we decided to try Santa Monica Meat Terrace.. It has outstanding reviews and the pictures looked very tempting. We were very happy with our choice of restaurants. 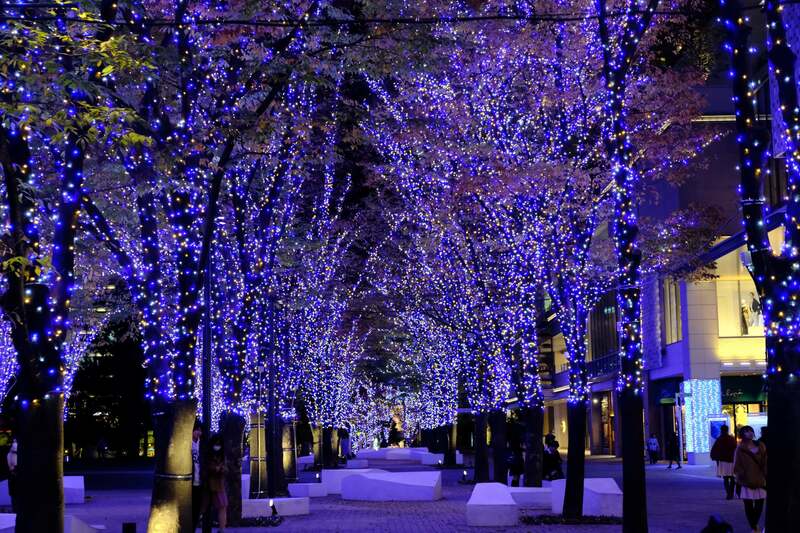 It is only a few minutes away from the train station and Yokohama station. Dining here was an experience- everything was cooked to perfection and served with a smile. The meat platter was extremely delicious and filling. 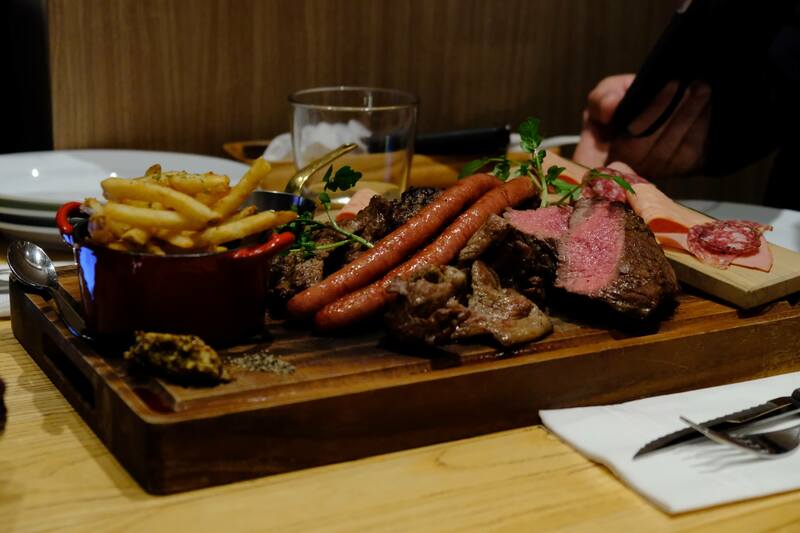 If you get hungry while in Yokohama and feel like some delicious meat, head over to Santa Monica Meat Terrace.